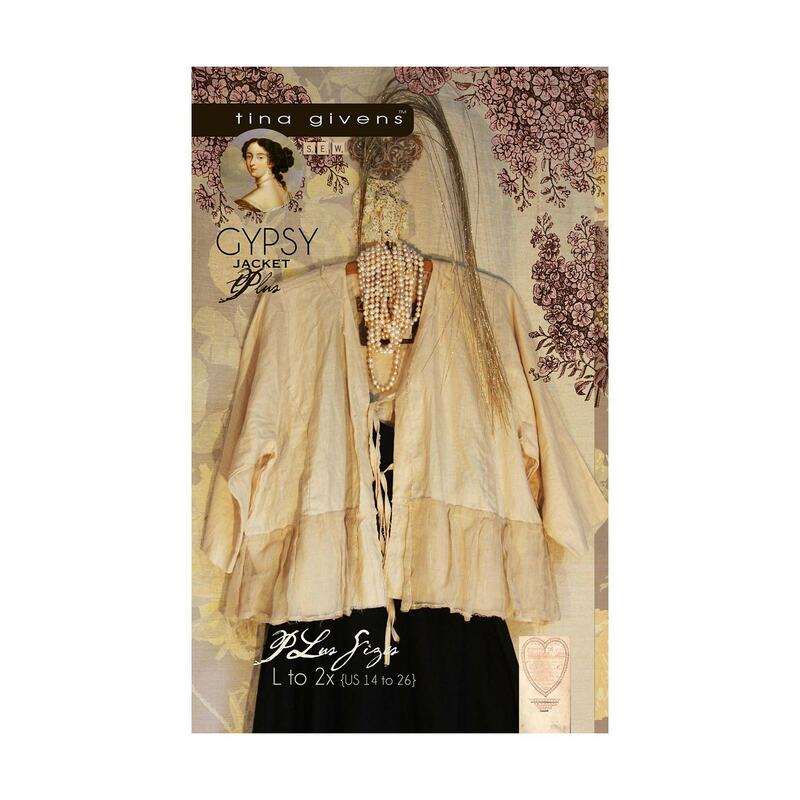 Gypsy Jacket is a delightful short jacket with a little ruffle magic! Inserted sleeves and pieced bodice with tie closure! Perfect for holiday magic! 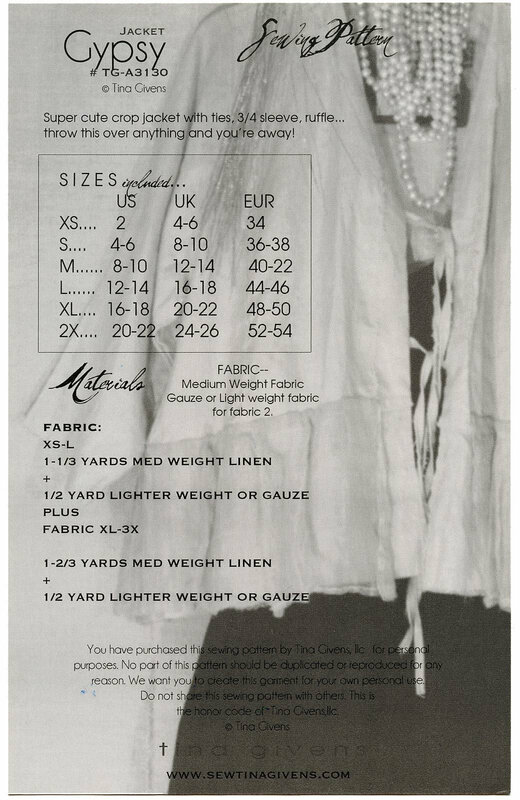 For the natural linen version, Tina chose not to add the ruffle and left it raw; didn't add the string ties and simply bound the neckline. Seams for front and back were placed on outside so they frayed when laundered!